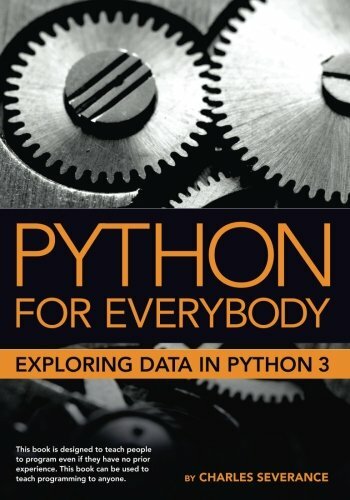 Python for Everybody is designed to introduce students to programming and software development through the lens of exploring data. You can think of the Python programming language as your tool to solve data problems that are beyond the capability of a spreadsheet. Python is an easy to use and easy to learn programming language that is freely available on Macintosh, Windows, or Linux computers. So once you learn Python you can use it for the rest of your career without needing to purchase any software. This book uses the Python 3 language. The earlier Python 2 version of this book is titled "Python for Informatics: Exploring Information". There are free downloadable electronic copies of this book in various formats and supporting materials for the book at www.pythonlearn.com. The course materials are available to you under a Creative Commons License so you can adapt them to teach your own Python course.